The cost effective solution for durable data center cooling. Most conventional cooling systems consume a lot of energy and are, therefore, expensive, environmentally unfriendly, and maintenance sensitive. Our system is different. It is durable, economical, and reliable!! Our air conditioner uses outdoor air and water. That’s all. Only the fans consume energy and, therefore, you can save up to 90% on your energy costs! Installation costs and costs for generators are also very low; you can also save up to 80% on these costs compared to conventional systems. 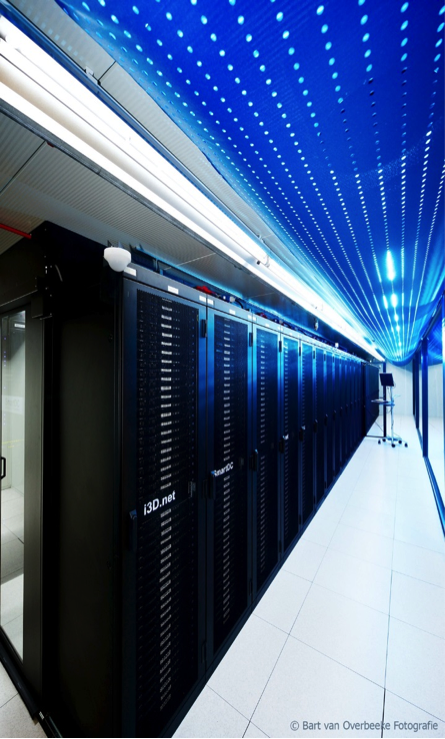 Most data centers have a big CO2 footprint, due to their enormous energy consumption. However, we have developed a ‘green’ air conditioning system: we cool with outdoor air and water and do not use environmentally harmful HFCs. These chemicals are used as a refrigerant in most air conditioners, but our system does not need this. Our system almost has no components that are prone to failure. The only parts that require maintenance are the fans and valves.